Brand new aluminum rims (because you have to look good while driving :) ). This car has been very well serviced from day one and it has a regular travel car inspection (I can show certificate to verify inspection). Despite this cars mileage, it is in very good condition. It is 99% "long-distance-driven" so it is not worn like a car that is driven 110.000km. You can pick it up and return it at our home (which is about 5 minute drive from the airport). NOTE, This car is not suitable to sleep in. If I could give 10 stars... here they are! Leo helped us very much. He came very early to the airport, thanks again. The car was excellent, no doubt! We highly recommend Leo (and his car). 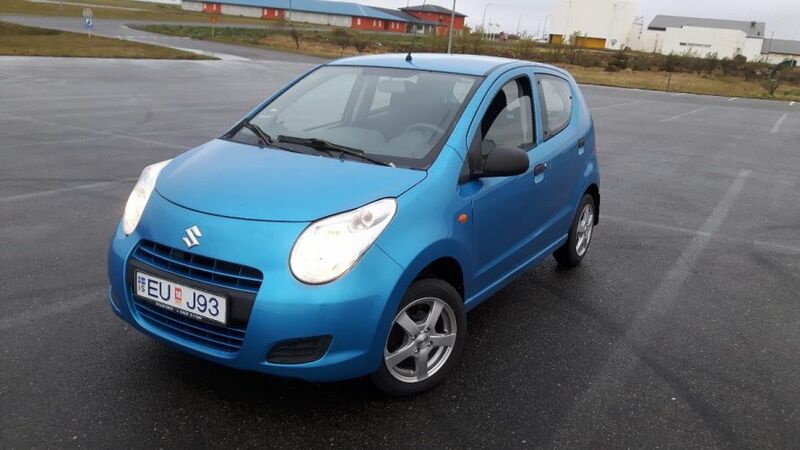 Really excellent car for Icelandic routes! And Leo is very nice person, who gave us useful tips for traveling in this country. Thank you very much! great owner, Leo and his wife, were constantly helpful, provided advise, suggestions to sight see and were extremely friendly. totally recommend them and for sure will look to rent again from them when we visit their country in the future. Exelente camioneta. Equipada con todo. Mejores aún sus dueños. Totalmente recomendable. Helpfull and nice owner, great car! We traveled around Iceland with some detours for 2 weeks - almost 3000 km! The car did awsome job! Thank you Leo for making our trip possibile! Perfect car for trip around Iceland. Rooftop box is excelent solution for such long journey. Good car and in excellent shape. Fuel efficient. Pickup and dropoff was easy. Thank you!